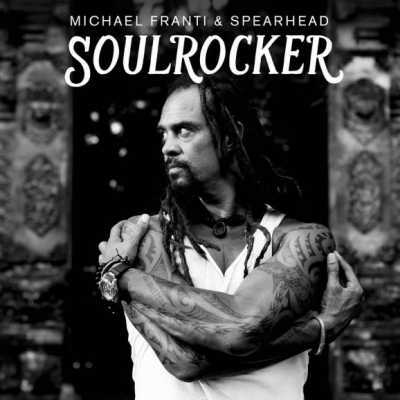 Right from the opening strains of the '90s-esque reggae-pop tune "Crazy for You," it's clear that although times and musical tastes have changed, the sound and message of Michael Franti hasn't. The San Francisco native and former frontman of Disposable Heroes of Hiphoprisy is now on the downhill side of 50, and is still espousing love, peace and harmony. The group's ninth studio project SOULROCKER flips the script a little bit, though, by incorporating Diplo-esque type sounds — to uneven, but mostly satisfying results. An EDM-inspired, shades-of-Avicii track like "My Lord" demonstrates that Franti still has his ear to the musical ground, and he brings along Jamaican producers Dwayne "Supa Dups" Chin Quee and Stephen "Di Genius" McGregor to ensure he gets things right. The result is that, despite its title, the reggae chords of "My Favorite Wine Is Tequila" will win you over despite yourself, as will electronic dance number "Get Myself to Saturday," whose lyric "I'm looking for a way to get myself to Saturday" tells you all you need to know about it. "I Got Love for Ya" slows things down a tad with an acoustic-driven, midtempo groove: "In the back of a Greyhound Bus, you can be who you are." The album standout is the mainstream-minded "Once a Day," with its Bob Marley chords and overall summery groove.